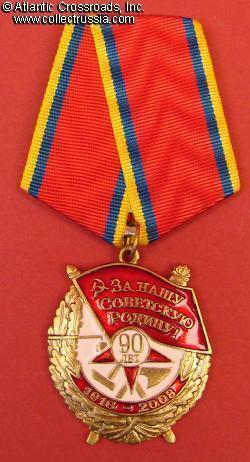 Medal for 90th Anniversary of the Soviet Armed Forces. 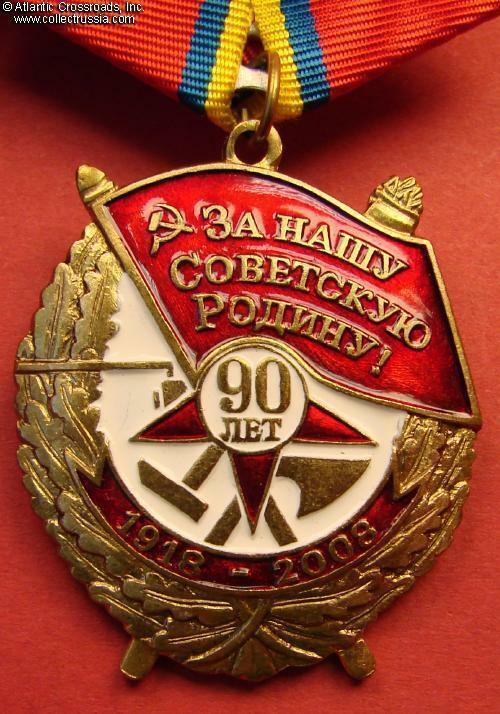 Medal for 90th Anniversary of the Soviet Armed Forces. Brass, enamel. Basic design of the Order of the Red Banner with modified lettering and the addition of the 1918-2008 dates. Reverse shows hammer & sickle. 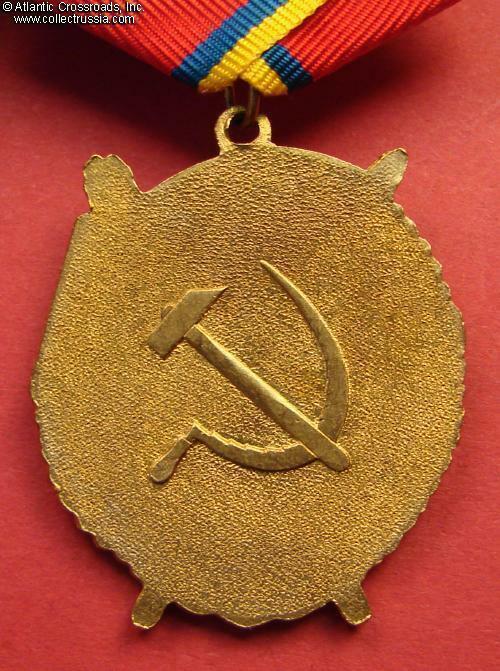 Alternative medal- not recognized as an official award by the current Russian government.